Neuroassociations are mental associations created within our minds between two stimuli. Those stimuli can be physical, auditory, kinesthetic, or even subconscious. Neuro-Associative Conditioning (NAC) is a science developed by a former business partner of mine, Anthony Robbins, author of "Unlimited Power", "Awaken the Giant Within" and the "Personal Power" tape series, from the foundations of Neuro-Linguistic Programming or NLP which was developed by Richard Bandler and Dr. John Grinder in their effort to model communication strategies of effective therapists (see below). This system was based upon Korzybski's work of general semantics stating that a person's experience is not reality but a representation of it ("The map is not the teritory"). NLP is also based upon the primary psychology and language strategies utilized by Dr. Milton Erickson to shift the internal representations and therefore, the experience and the behaviors of patients. The science of Neuro-Associative Conditioning is a system that describes the process of change in human beings and is based upon the premise that there are two determining reasons for human behavior: 1) the need to avoid pain and/or 2) the desire to gain pleasure. Neuro-linguistic programming (NLP) is an interpersonal communications model and an alternative approach to psychotherapy based on the subjective study of language, communication and personal change. It was co-founded by Richard Bandler and linguist John Grinder in the 1970s as a method of personal change and communications. While the initial focus was on modeling successful psychotherapists, the patterns discovered were intended to be applied more generally. Some of its theoretical foundations borrowed from work related to the initial models (Virginia Satir, Milton Erickson, Fritz Perls) as well as disciplines related to communication and the mind, including psychology, linguistics, cognitive science, and occupational therapy. Most of its practitioners take a pragmatic view and have little concern for theory. 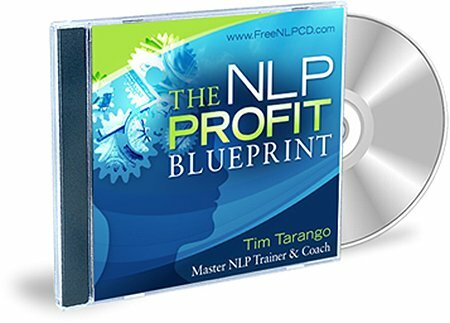 Today, variants and applications of NLP are often found in seminars, workshops, books and audio programs in the form of exercises and principles intended to influence change in self and others. The field of NLP is loosely spread and resistant to a single comprehensive definition. There is also a great deal of difference between the depth and breadth of training and standards. An important assumption of NLP is that emotion, thought and behavior consists of, and is influenced by, how the sensory-specific modalities (visual, auditory, kinesthetic, olfactory, gustatory) are organized and give rise to consciousness. Further, the mode and limits to the underlying mental representations is revealed by unconscious choice of words, sensory-specific predicates (eg. visual language) and non-verbal cues (such as intonation; gesture; posture; facial expression and eye movements). A basic method in NLP involves asking specifying questions to help clarify the intended message in communication. It seeks to recover what has been left out and to reframe faulty thinking when the communication is distorted or over-generalized. These meta-model questions are often combined with suggestions for personal growth and potential. Another technique seeks to alter sensory-specific submodalities (eg. brightness, size or location of visual imagery or sensory representations) to affect the intensity of mental states and affect changes in behavior. A classic format has people anchor resourceful mind-body states (eg. creativity, confidence, etc.) to make them available in situations where a person wants to act differently. Generally, the intent of NLP is to increase choice in the underlying representations so that the individual has more choice and flexibility in the world. For more information on NAC and NLP, check out the suggested books and products at the top right of the page.